Photo by Grant Scott-Goforth Pamela Lyall, a local actress and longtime librarian at Humboldt STate University, decided to stop cancer treatment in May. Photo by Tobin Photography Michael Fratkin. On a recent bright but cloudy afternoon, Pamela Lyall sat upright in her bed overlooking a small pond and garden as cats meandered in and out of the room. She wore abalone earrings, and her mother's pearl necklace draped across her thin shoulders. She smiled, occasionally, with piercing green eyes, but said she was feeling resistance. "I'm running out of the will and energy of what I have to do with the physical body on this plane," she said. Lyall had been battling cancer for six years. It was discovered in her ovaries in 2008. She had been documenting the process — chemotherapy after chemotherapy, and surgeries too — on her blog. She had a large group of friends and family caring for her, but things continued to get worse. "The decision kind of made itself after my last treatment in May," she said. "The last treatment was awful — really, really hard on me." So she stopped. She took a trip in June to visit cousins, nephews and nieces. When her body went into crisis again in August, she met Michael Fratkin, a palliative care doctor at St. Joseph Hospital. 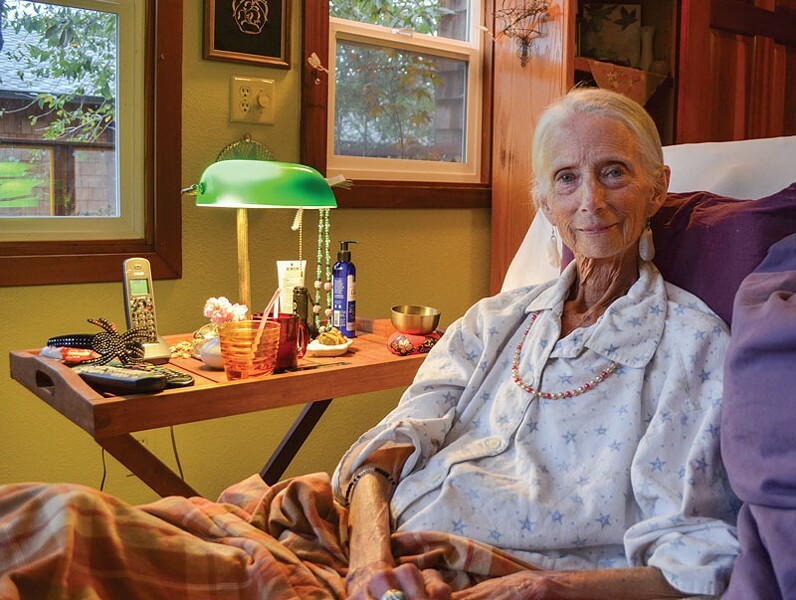 For the last couple months, Fratkin, with nurses and Hospice of Humboldt, tended to Lyall, seeking to make her as comfortable as possible as she approached the end of her life. Her stomach wasn't processing fluids when she met with Fratkin that afternoon in October, but she was upbeat, discussing her energy, her community and the jewelry she wanted to share with friends. Three days later, on Oct. 25, Pamela Lyall died in her bed. She was 71. Lyall was just one of a large generation of Americans beginning to face decisions about how they want to end their lives. It's a generation of people that have had to make decisions with and for their own aging and dying parents — a process that some say has driven many to reconsider what's become the medical standard over the last 100 years: prolonging life at any cost in a sterile and often uncomfortable environment. Michael Fratkin wants to change that. As a hospice and palliative medicine specialist for St. Joseph Hospital, Fratkin has focused on bringing comfort to people at the advanced stages of terminal illness — at home, when it's possible. 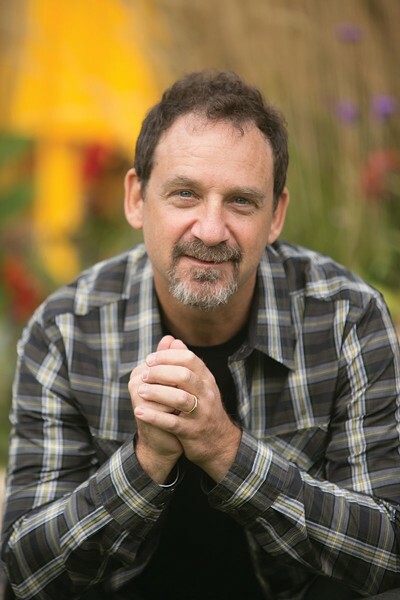 It's a calling he's passionate about and recent events sparked him to form a grand new vision: a multi-faceted palliative treatment center called Resolution Care. With it, Fratkin hopes to expand direct attention for those dying on the North Coast, as well as tap into technologies that will spread information about his specialization around the state — and perhaps beyond. It's an ambitious vision, a large and expensive undertaking, but with a community need, the backbone of technology and the drive of dedicated community members, it just might work. Michael Fratkin's energy is infectious. He speaks rapidly but softly about the urgency of end-of-life care, and about the juggling act of planning an expansion of his services while still finding the time to visit with patients and provide the calming, frank care and discussions they deserve. 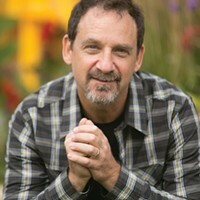 The 52-year-old, with his curly brown hair and close-cropped beard, studied at the University of Utah in Salt Lake City, performed his residency at the University of Virginia at Charlottesville and attended the Oregon Health Sciences University in Portland, Oregon, before coming to St. Joseph Hospital in Eureka in 1997. Palliative care is defined as a treatment that relieves or lessens without curing: It's an alleviation of pain, of negative symptoms, without necessarily attacking the cause of those symptoms. With more and more people reaching the age where serious disease begins to affect their lives, Fratkin says, there aren't enough palliative care services on the North Coast. "There won't be for many decades and there's a huge rising demand for this work," Fratkin says. "Because palliative medicine has proved itself over the last 15 or 20 years and the demographics of our populations are changing." Whether it's lung disease, cancer or kidney disease, "people who have good understanding of their disease need palliative care in parallel to disease-directed treatment," Fratkin says. It's not a localized problem. In a recent 500-page report titled "Dying in America," The Institute of Medicine wrote that improved end-of-life care is "within reach." "The education of health professionals who provide care to people nearing the end of life has improved substantially in the past two decades, although serious problems remain. Knowledge gains have not necessarily been matched by the transfer of knowledge to most clinicians caring for people with advanced serious illness who are nearing the end of life. In addition, the number of hospice and palliative care specialists is small, which means the need for palliative care also must be met through primary care and through the other clinical specialties that entail care for significant numbers of people nearing the end of life." Fratkin says the dialogue about end of life care is changing — more and more people want to have open, honest discussions about dying. "Baby boomers are more numerous and more likely to expect to be empowered — to want guidance but not guidelines," Fratkin says. And, he adds, palliative care is making patients' lives better, and in some cases, longer. "If people are less anxious, less desperate and in better control of their lives and symptoms, it shouldn't surprise anybody that they go a little further down the road," Fratkin says. So what can be done about this lack of palliative care in a society where the demand is poised to grow rapidly in the next 20 years? Fratkin thinks he's found, if not a remedy, a treatment, and it goes back 11 years to Albuquerque, New Mexico. Project ECHO is a simple concept — so simple, in fact, that its founder, Sanjeev Arora, was certain that it was already being done when he came up with the idea in 2003. Arora, a liver doctor specializing in Hepatitis C treatment, was frustrated by the disease, which is difficult to detect and, according to the New York Times, the leading cause of cirrhosis and liver cancer in the U.S.
With few specialists treating the disease in New Mexico, diagnosed patients often had to travel long hours to get treatment at great burden and expense. The vast majority — more than 95 percent, according to a NYT profile of Arora — of chronic hepatitis patients in New Mexico were going untreated. Concern mounting, Arora came up with the idea to "demonopolize" specialist knowledge, to provide primary health care providers — nurses, clinicians, family doctors — with the information to treat specialty disease. "At the same time, he thought, 'My god, people must be doing this all over the world — this must already be a thing,'" says Erika Harding, the director of replication initiatives at University of New Mexico's Project ECHO — the innovative health care wildfire sparked by Arora's concept. It wasn't a thing. Arora gained support of primary care physicians all around the state, constructing a "simple, elegant" information-sharing model using teleconferencing technology that's caught on around the world. Harding's role is to assist similarly minded specialists with their own "replications" of Project ECHO. Adoption of the model — both in the U.S. and internationally — has been rapid and "organic," she said, and covers a host of different diseases from HIV and AIDS to youth epilepsy. Forty-four "hubs" have been formed, including recent efforts by some Department of Defense and Veteran's Administration clinics, and another 100 are in formation — a demonstration of the power of the model, according to Harding. Among those hundred is Michael Fratkin, who read about Project ECHO in the Times. To successfully adopt the ECHO model, Harding says, the instigator must be an expert, want to improve the world — while feeling limited in his or her impact — and not be doing it for self-aggrandizement. "Fratkin really is kind of the poster child," she says. Harding said physicians interested in ECHO need to demonopolize their knowledge — to be willing to make other primary care providers, even school teachers, "as good as [they] are." ECHO hubs around the world have created a "critical mass" of collective information along common health care themes, Harding says, creating a second tier of information sharing. It's one way that ECHO is challenging standard models of medicine. "Clinical trial data is great, but the inclusion and exclusion criteria is very, very strict," Harding says. "If you're [a doctor] looking for guidance with an 87-year-old woman with heart failure, alcoholism and early signs of Alzheimer's, do you really treat her based on a clinical trial from the New England Journal of Medicine?" The shared knowledge of practicing physicians, in the unique communities and environments and situations in which they practice, made more and more available through ECHO, is perhaps an equally powerful tool, Harding says. But primary care clinics and physicians know specifics about their patients' conditions, contributing factors, community and levels of support in a way that overburdened specialists don't. "When ECHO is done well, we actually have providers in communities treating patients more effectively than if those patients were being sent to specialists," she says. There's great potential for palliative care recipients under the Project ECHO model, Fratkin says, because those are patients who cannot — or should not — travel for treatment. By involving clinicians, oncologists, nurses, neurologists, hospitalists and urgent care workers in small communities like Weaverville, Lakeport and Yuba City in bi-weekly teleconferences, Fratkin says palliative care can come to the people who need it. 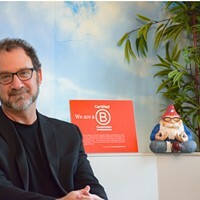 He envisions giving a brief presentation on web-connected video screens, then asking each clinic to discuss details of a case that he and the others can discuss. "That's the way health providers learn, is case after case after case," Fratkin says. "What Project ECHO has discovered is not only does the expertise run down from the hub site but ... people become experts on their own end. In that way our little team up here in Humboldt County is touching the lives of many, many, many more than could squeeze into the lives of our clinical community." 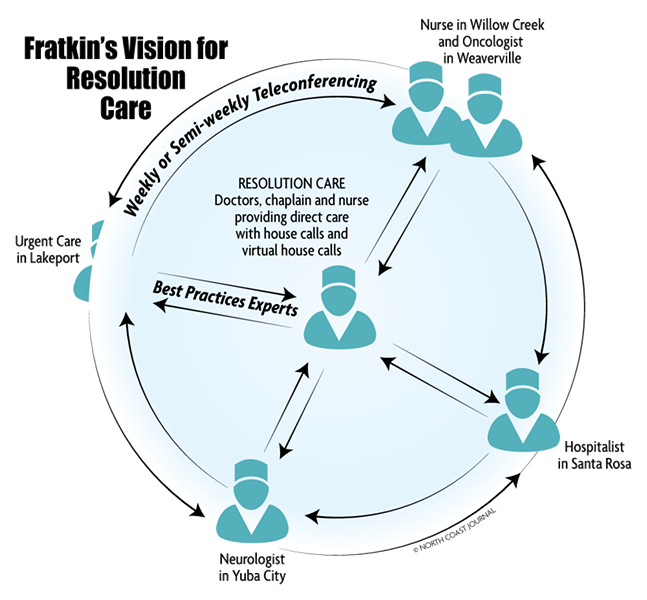 Becoming a Project ECHO hub is only one aspect of Fratkin's Resolution Care vision. He is also seeking to expand local home visits and "virtual" home visits using the same technology that makes teleconferencing relatively cheap and accessible. He also wants to offer palliative care earlier than Hospice. While he gives high praise to the work done by Hospice of Humboldt, Fratkin says palliative care should begin before a six-month diagnosis to live, which is what qualifies people for Hospice care. Many people sign up for hospice much later than that, often when they don't have the capacity to make or express their final wishes. Fratkin wants to hire another palliative care physician, a nurse or nurse practitioner, a social worker, a chaplain and a community health worker — a problem solver who can float around and fill in the gaps the rest of the team can't reach. And at the top of his list is an "inspired operations director" — someone with the business and social enterprise skillset that he admits he lacks. Fratkin says a focus on home visits as opposed to managing an outpatient clinical infrastructure would increase efficiency, allowing palliative care doctors to spend more time on "low-touch, high-value" interactions like telemedicine. "We can drop into somebody's living room while they're wearing fuzzy slippers and touch base with them," he says. Of course, building a team — particularly under a relatively new model, a "disruptive innovation," as Fratkin calls it — requires money. To achieve that, Fratkin is trying something that even the Project ECHO folks haven't seen before: crowdfunding. In an Indiegogo fundraising effort launched Nov. 1, (the Day of the Dead coincidence isn't lost on Fratkin) Resolution Care is seeking $100,000. As of Nov. 3., the campaign was nearly a quarter of the way funded, with $22,550 in contributions. Harding says it's the first Project ECHO hub that's sought crowdfunding. "It's very exciting to see people fund ECHO innovatively — as long as people maintain fidelity to our model we don't tell people how to fund their ECHO." The majority of ECHO hubs are academic centers — Harvard, University of Nevada, University of Utah — or big healthcare systems like Kaiser Permanente, "where you have some institutional wherewithal to cover the expenses," Harding says. "Small enterprises like Michael's group — that's a different equation." One of the fundamental difficulties for Fratkin's project will be overcoming a lack of incentives for doctor-to-doctor learning, particularly when it comes to palliative care. Patty Berg, a former state assembly member and current Hospice of Humboldt board member who has worked on end-of-life care for decades, says the current healthcare system is poorly designed to meet the needs of patients near death, and isn't consistent with what patients want. That's partly because medicine is focused on "fee for service," she says, where insurance reimbursements are made for intervention and procedures, but not for simply time spent talking with patients — or taking time out of busy clinic schedules to teleconference with other doctors. "I read recently primary care physicians only spend 20 percent of their time seeing patients," she says. "Obviously that's got to be changed." On top of that, Berg says many doctors are uncomfortable talking about end of life with patients, a phenomenon she came across trying to pass death-with-dignity legislation in the early 2000s. Despite overwhelming public support, she says powerful medical panels, many of them made up of Catholic physicians, squashed her bills. "In some medical fields, [doctors] feel their responsibility is to keep somebody alive for as long as possible — do no harm, quote unquote," Berg says. It's a philosophy she'd like to see adapted to the public's increasing demand for end-of-life options. Berg says it's great Fratkin is looking to encourage more doctors to embrace palliative care, but it needs to go further than that. "I think it should be part of every medical student's curriculum." Harding, of Project ECHO, says the group is bringing together Medicaid leaders to discuss "innovative funding strategies" for efforts like ECHO. "Small community providers and clinics are taking time out of their very busy day to learn," she says. "This is not a consultation, a billable exchange of information — it is actually fundamentally learning. We certainly don't want to penalize that." Berg says the Institute of Medicine and the American Medical Association, which is typically more conservative on issues like palliative care, are urging insurers to reimburse health care providers for conversations about end of life. "I think Fratkin probably sees that as an opportunity," she says. Local medical groups have lined up to support Resolution Care, including St. Joseph Hospital, which Fratkin says is committed to becoming a partner while letting him remain in charge of the hospital's palliative care program. Other supporters include the Humboldt State University social work department and the Humboldt-Del Norte Independent Practice Association. Fratkin wants to add humanity to the medicine at the end our lives. "We're more than our bodies," he says. "There's lots of value in our modern technologies. The trick is to support people who get the value of modern medicine, but in the context that it's not a medical experience to face the end of your life; it's a human experience." Pamela Lyall's philosophy reflected Fratkin's and a growing number of people who want to control how their lives end. The longtime HSU librarian and actor, on the afternoon several days before she died, said her pets had found homes. Her friends had been paying respects. Whether it was from a sense of completion or exhaustion, she said, "My physical vision seems to be collapsing down ... putting me into a smaller world." Still, Lyall felt that palliative medicine needs to improve, needs to get people out of the "medical boxes" that have been adopted to extend life beyond comfort for so many aging Americans. Lyall's holistic approach extended beyond death as well. She didn't want to be buried in a casket in a concrete tomb "to prevent return to the earth, which is absurd." Instead, she had arranged a green burial in Blue Lake, where she would be laid into the earth wrapped simply in a shroud. The seamstress was bringing it over for her to see that afternoon. "My shroud has been sewn," she said.